Aaron Ramsey Signs for Juventus: How Will He Fit In? If Juventus fans had known they would be signing a midfield player from the Premier League this season, most would not have expected that player to be Arsenal's Aaron Ramsey. In fact, almost every single one would have probably picked Paul Pogba. "The reaction has certainly been positive," insists journalist Mirko Di Natale. "But Juventus fans had to get used to the Ramsey idea. Their dream, of course, is still Pogba." For a while, the Pogba fantasy had seemed like it could become a reality as friction with his Manchester United boss, Jose Mourinho, led to rumour after rumour that the French World Cup winner was looking for a way out of Old Trafford, and the door was open for a return to the Bianconeri. As soon as Mourinho departed Old Trafford, though, the chances of a United-Juve switch disappeared—and rumours linking Ramsey to Serie A escalated. Available on a free transfer in the summer, after failing to agree new terms with the Gunners, a host of clubs including Real Madrid, PSG, Bayern Munich and Inter showed interest—but, according to B/R sources, talks over a transfer to Juve went so well that the player decided very quickly he wanted to join them. Everything was agreed and the player is understood to have undergone his medical in Italy on Sunday 13 January. "Fans have been watching him on TV and YouTube ever since then," explains Di Natale. "They have been reading news about it and getting to know his history with Arsenal and Wales. They are very enthusiastic, they—convinced that he could do well in Juve already today. "Ramsey is the player who Juventus misses, because currently there is no one able to do the box-to-box work. "I do not think he will be compared to Pogba; they are two different players. And if Ramsey is able to grow, I think the Allianz Stadium will love him like they did Pogba." Ramsey's contract will see him earn more than £400,000-per-week, according to David Ornstein of BBC Sport. It's a hefty sum, but it's largely hefty because the Italian giants do not need to pay a transfer fee to take him away from Emirates Stadium. Vince Van Genechten is an Italian football journalist who has an expert eye when it comes to Juventus, and he feels Ramsey can live up to the weight of expectation that comes with pulling on the famous black and white jersey. "He fits in well alongside guys [like] Andrea Pirlo, Emre Can and Paul Pogba that have played in this midfield," he told B/R. "His salary might be big according to Italian standards, but Juve fans realise he'll bring something extra to the table—and they know he'll make Juve even better in a position this team's been lacking. "They have missed a playmaking midfielder ever since Pogba left. Miralem Pjanic does a lot of the playmaking now but does it from the Pirlo role, deep in midfield. Can, Blaise Matuidi, Sami Khedira and even Rodrigo Bentancur are more rugged players—so when Pjanic is out or has a bad game, there's no true backup. Making Dybala drop back into midfield doesn't help in that regard either. "So Ramsey fills that void as the secondary playmaker in midfield, a guy that can create chances and openings with his passes and runs forward. It will take away pressure from Pjanic and make Juve more dangerous." One of the issues from Ramsey's career has been injury setbacks, and that fact is not lost on fans of the team he is now joining. In recent seasons, hamstring and calf problems have brought the most concern, but at the age of 28 there is plenty of optimism that he will not prove to spend too much of his time in the physio's lounge. 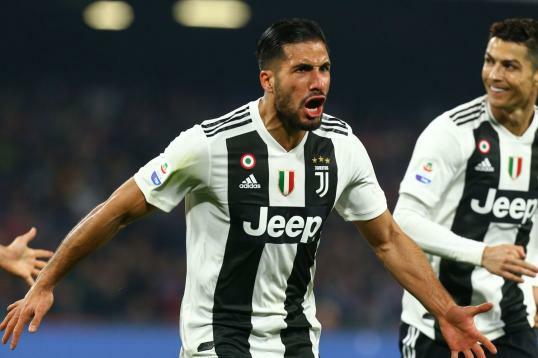 Farhad is a host for Juve Podcast and told Bleacher Report: "His injuries are a worry, but we’ve purchased injury-prone players before, like Khedira, and they’ve been able to stay healthy. "Juve has a great team of physios and a medical center on the premises. They’ve consistently 'healed' players way ahead of schedule. So beyond that, I’m very excited about this signing. From what I’ve seen of Arsenal and Wales games, I absolutely love his footwork, creativity and unpredictable shots. 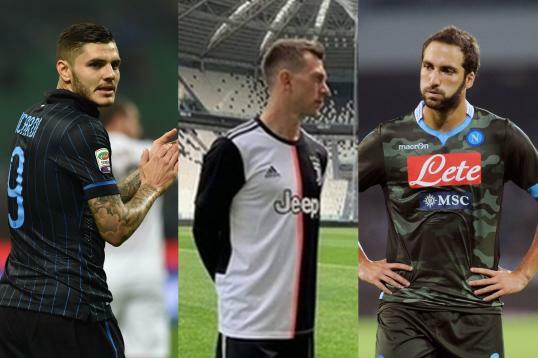 Juve are used to having a strong creative midfield, which has been depleted in the last few seasons since Pirlo, Pogba and Marchisio left." Time will tell how long Max Allegri thinks the player will need to integrate to the squad and familiarise himself with Serie A, but from speaking to sources around the deal it seems pretty likely he will be expected to fit into the team's style quickly and thrive in Italian football. Maurizio from Around Turin reckons it's a smart bit of business from the Italian champions. "It's not seen as an explosive signing," he said. "But what we believe is that he is a dynamic midfielder that could definitely help us to upgrade our game style. "The thing we still miss is the midfield we had few years back ... think about the Champions League final in Berlin v Barcelona in 2015 where we had Arturo Vidal, Pogba, Pirlo and Marchisio. Today we are not at that level, so we must upgrade. "Is Ramsey the answer? Maybe not ... but it comes for free, so it's worth a try." It may have been Pogba the Juve fans craved, but Ramsey has nothing to lose and could yet prove to be just as influential.